Wesley believed that the living core of the Christian faith was revealed in Scripture, illumined by tradition, vivified in personalexperience, and confirmed by reason. Doctrinal. 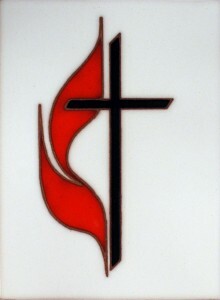 United Methodists profess the historic Christian faith in God, incarnate in Jesus Christ for our salvation and ever at work in human history in the Holy Spirit. Living in a covenant of grace under the Lordship of Jesus Christ, we participate in the first fruits of God’s coming reign and pray in hope for its full realization on earth as in heaven. The mission of the Church is to make disciples of Jesus Christ for the transformation of the world. Local churches provide the most significant arena through which disciple-making occurs. Social principles. The United Methodist Church has a long history of concern for social justice. Its members have often taken forthright positions on controversial issues involving Christian principles. Early Methodists expressed their opposition to the slave trade, to smuggling, and to the cruel treatment of prisoners.